A stream of visual insights in form of #sketchnotes from the pen of Tanmay Vora. More about sketchnote project here. There are 102 posts filed in Sketchnotes (this is page 3 of 6). “Service is the highest form of self-expression” read the title of an editorial in Times of India by Janina Gomes and it got me thinking about service. I realized that the only way to grow yourself, your teams, your organization is to think about what you have to offer from a service perspective. Who and what do you serve? You can directly serve others or serve a cause that enriches others. We all know about great examples of servant leaders from Gandhi to Mandela. But what about Steve Jobs? I like to think that he devoted his life serving the cause of simplifying technology and design. But why is service the highest form of self-expression, you may ask? Because mindset of service subdues the ego and real self-expression (and also learning) cannot happen when you wear a mask of your ego. And the truth is, real service is not about you, it is about purpose and people. And when you think about purpose and receivers of your service, YOU become the medium and not the source. Ego and entitlement must take a back seat if you are truly set out to serve others and when that happens, the whole foundation of your engagement with the cause is transformed. It doesn’t matter if you are an artist, employee, a team member, a leader or an entrepreneur – you are paid to serve something or someone. Breaking the cocoon of your limited beliefs and thinking about who/what you serve is also a powerful way to also discover your unique purpose. Here is a quick doodle to encapsulate this wonderful thought! I started creating sketch notes only in mid of 2015 as an experiment to learn better and simplify ideas. Little did I know that this experiment will grow into something amazing. I have been in pursuit of simplifying ideas and extract signals in a noisy world since 2009 when I wrote my first book #QUALITYtweet. My sharing on Twitter, experiment of 100 word posts and lists are all directed towards brevity without losing the substance of the message. I have learned a great deal out of it. I was happily surprised last year when Philippe BouKobza reached out to me with a few questions on my journey in creating sketchnotes for his upcoming book. Earlier this year, the interview and a sample sketchnote was published in a French book titled “Travailler avec le sketchnoting. Comment gagner en efficacité et en sérénité grâce à la pensée visuelle” roughly meaning “Work with sketchnoting. How to gain efficiency and serenity through visual thinking.”. It is an excellent resource for sketchnote enthusiasts and I wish the book comes out in English sometime soon. Since when do you use Visual note-taking / Sketchnoting? [Tanmay Vora] In school, I remember using the last page of my notebooks to doodle. Back then, I used to write my own name in different ways and experiment with letters. After I got into corporate life, I have used visual notations, process flow diagrams and blocks to make sense of things while consulting customers and during internal team meetings. But I got started into visual note taking only in mid of 2015. I only wish I had started sooner. 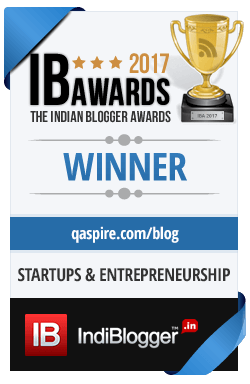 [Tanmay Vora] I discovered the technique of visual note taking through a blog post on the same topic by Abhijit Bhaduri. I have been blogging about leadership, learning and quality since last 10 years and I found a great new way to represent some of these ideas visually to simplify the understanding for myself and for the readers. I learned a great deal from the wonderful sketchnote community on social media where people like Mike Rohde, Mauro Toselli and many others generously share their learning on art and craft of creating sketchnotes. In your opinion, what are the benefits of Sketchnoting? [Tanmay Vora] I think the biggest benefit of creating and consuming information in sketch note form is that it simplifies learning and eases comprehension both for the creator and for the consumer. Visual metaphors allows the brain to fill the gaps enabling connection and synthesis of ideas. I find sketch notes a great way to organize and summarize the insights in a way that raises attention and engagement. John Medina, in his book “Brain Rules” said that we remember 15% of what we read (text), 35% of what we see (pictures) and 65% of what we read and see (text + pictures). Visual notes are a great tool for sense making and easy communication of ideas. · What are your main uses of this technique? How does your entourage react when they see your sketchnotes? [Tanmay Vora] Hand drawn sketch notes add a human element into the digital world and that’s the reason people instantly connect with sketch notes. My followers on Twitter, Facebook and blog use my sketch notes as useful reminders of some of the most important concepts in leadership and learning areas. I often get pictures of how my sketch notes are decorating someone’s home or office space in form of a poster. Sketch notes I created have made it to several live events including global conferences and TEDx talks. I feel immensely grateful when my work intersects with real world and I get positive feedback on how it helps others in their own learning journeys. Just like I was inspired to create sketchnotes through inspiration from others, my own work in visual note taking has inspired several people to start taking visual notes. I feel very happy when my work sparks inspiration for others. That is why I do everything that I do. When we say YES to being available to the world all the time (especially when it is so easy to do that), we say NO to focus. If we don’t focus, how will we think, plan, execute, review and align? NO to distractions, YES to focus and space for creativity. At the heart of living a creative life is ability to do something about things you don’t like. What we do instead is keep complaining. That truly resonated with me and I created a quick Doodle Card that I hope to print and put it on my soft board as a reminder every time I find myself stuck in the whirlwind of complaining. When our mind is like a mountain, it is nothing but a heap of fixed beliefs and knowledge that does not evolve. To have a mind like a valley, we need to pursue things with a sense of wonder, knowing that we don’t know and having a receptive frame of mind ready to absorb. An open mind enables critical thinking, diverse experiences, experimentation and iterative learning by connecting the dots. Here is what leaders often do – when faced with a complex situation at work, they add more meetings, task forces, new procedures and governance structures that makes things more complex. What we need to handle complex challenges is simplicity that leads to effectiveness. Simon Terry, whose thinking I really admire, wrote a short post titled “Five Ways to Make Work More Effective” offering vital ideas about efficient work. Meetings, unending email threads, too much focus on consensus building, siloed thinking and lack of experimentation are some of the biggest wastes in an organization. They sap productivity, hurt engagement and kill accountability. If you are a leader or a manager, this might just be a reminder you need often to ensure that you create an environment of effective work – smart work as they call it! Here’s a quick sketch summary of the post! The books I love the most are not the ones that offer off-the-shelf “solutions” but ones that start a conversation, catalyze thinking, elevate understanding and help in thinking about a topic in novel ways. The book introduces the concept and then takes it forward with the help of stories from many people who were interviewed as a part of the research for this book. Reading diverse journeys of so many multi-disciplinarians was insightful and only added new dimensions to the topic. Somewhere in these narratives and stories, I could sense a deep connection with my own inclination towards neo-generalism right from my choices in school to how I have evolved as a professional. 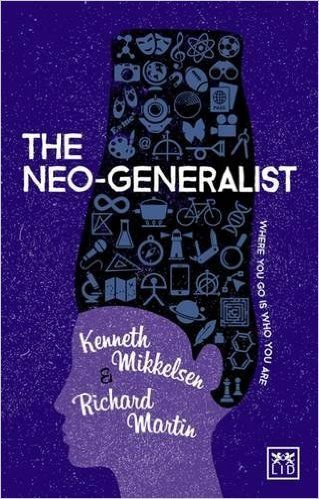 From that perspective, reading this book was very rewarding because it helped me map my own journey to the specialist-generalist continuum that this book talks about. Gaining new perspectives and expanding my own understanding of how we learn, choose and do things was a huge bonus. I also loved the organization of book where quotes so eloquently encompass and extend the essence of the ideas. The bibliography section of book recommends other rich resources for extending the conversation. Here is a sketch note summary of key points from the book that may offer a small preview of some key insights from this treasure. The Restless Multidisciplinarian – Interview of Kenneth Mikkelsen and Richard Martin by Patrick Tanguay at E-180 Magazine.